Mix the sugar with sunflower oil;then add the eggs and produce a homogeneous mixture.Add a little at a time flour,baking powder,salt and cinnamon.Aside grate the carrots and the almonds;then add to the mixture. Preheat the oven at 180°,put the mixture in the stamps and make them bake for 30′. 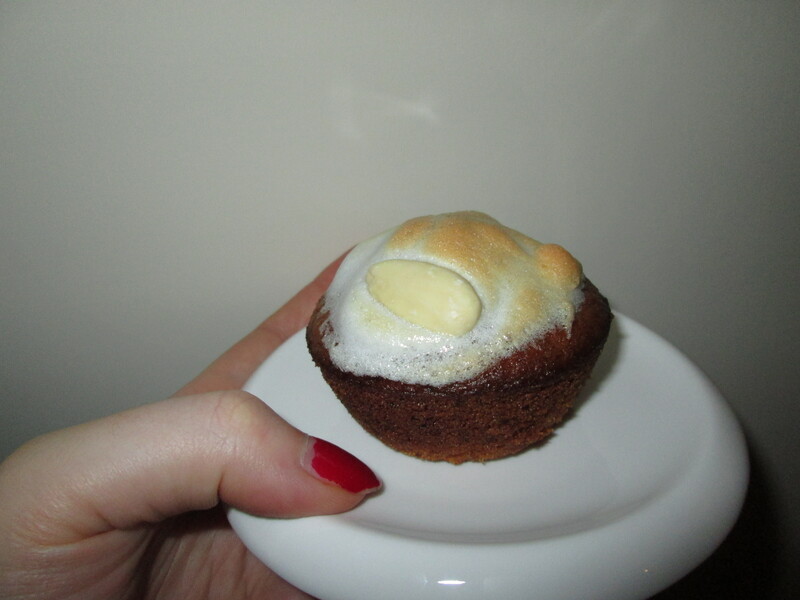 I’ve put on the top a frosting made with albumen and icing sugar. Mischiate lo zucchero con l’olio di semi;dopo aggiungete le uova e create un composto omogeneo.Aggiungete un po’ alla volta la farina,il lievito,la cannella e il sale.A parte grattugiate le carote e le mandorle e poi aggiungetele al composto. Preriscaldate il forno a 180°,mettete il composto negli stampini e cuocete per 30′. Per decorazione ho fatto una glassa con albume d’uovo e zucchero a velo. Hi B! These look so yummy! 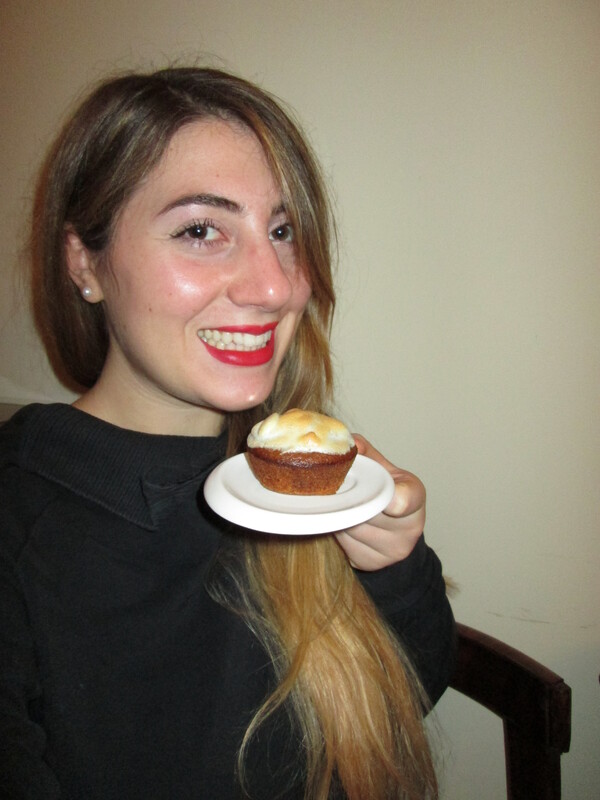 Is that marshmallow that you are putting on top of the cupcake or merengue? Love that toasted broiled look! Mmm! Questi cupcake alla carota sono da provare!